Does your cat track cat litter throughout the house? This can be a frequent problem for cat owners but the xxL cat litter tray mat is the perfect solution. It is extra wide so that it traps all the litter which flies out around the tray. It is also a great size for xxL-sized cat trays. This soft and cosy semi-circular mat is made from synthetic fibres and is especially suitable for sensitive cats. The mat not only catches litter that is displaced from the litter tray, the warm and soft surface also traps the litter on your cat's paws. The mat is easy to keep clean – simply shake the litter off and vacuum it clean. The trapped litter falls out easily and the mat is clean in the shake of a hand. 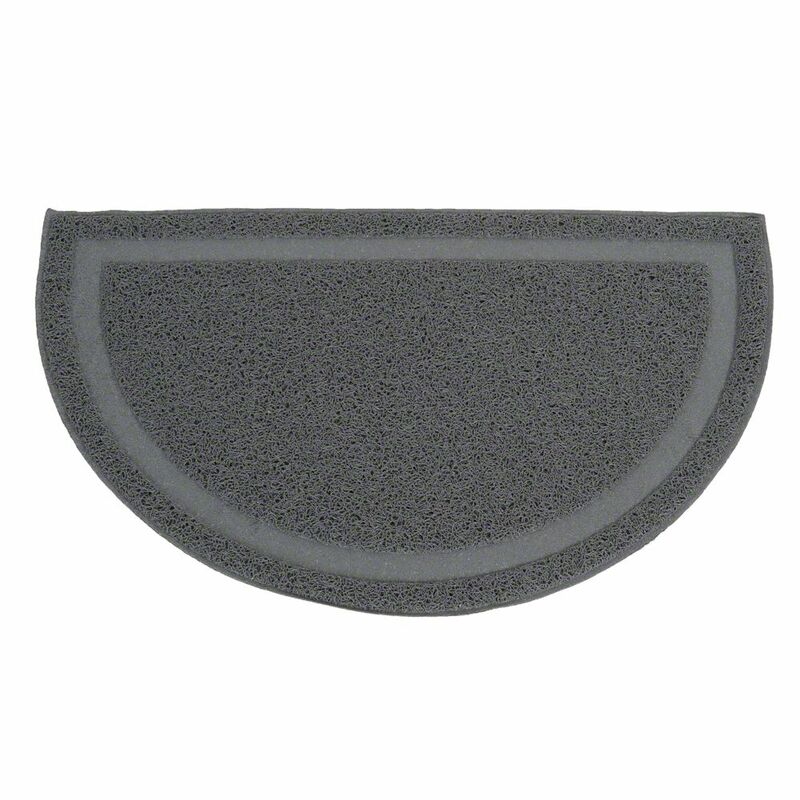 The Cat Litter Tray Mat xxL at a glance: Colour: grey Dimensions approx. 60 x 36 x 0.5 cm (L x W x H) Semi-circular Extra wide Ideal for xxL-sized cat litter trays Reliable dirt trapper Made from woven synthetic fibre Soft, cosy surface Easy to keep clean - just shake or vacuum.